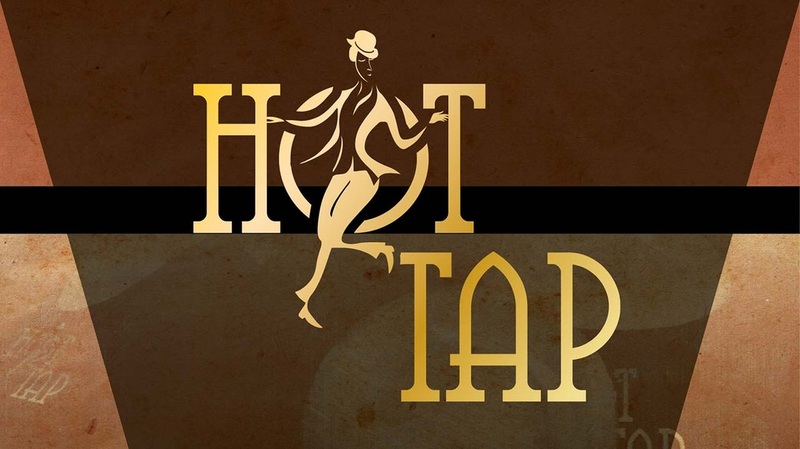 'Hot Tap' started off as a group of like minded ladies coming together each week to learn a new skill, meet new friends and have fun. It has evolved into a Tap group performing at social and charitable events having lots of fun along the way. Details for the timings of the street fair will be released soon. Please come and watch us and support what will be a fantastic day with so much going on!! We are busy working on some new dances which we will be performing at the Montgomery street fair on 4th July as well as some other events this summer. We had great fun performing at the Montgomery street fair pop over to the gallery to watch videos of our performances. We are delighted to have been awarded a grant from the Montgomeryshire District Trust Fund to help us purchase a portable dance floor so we can attend more charity fundraising events!! We are very fortunate to have two talented husbands within our group who very kindly designed our logo which we are really pleased with, Soon to be seen on our t shirts! 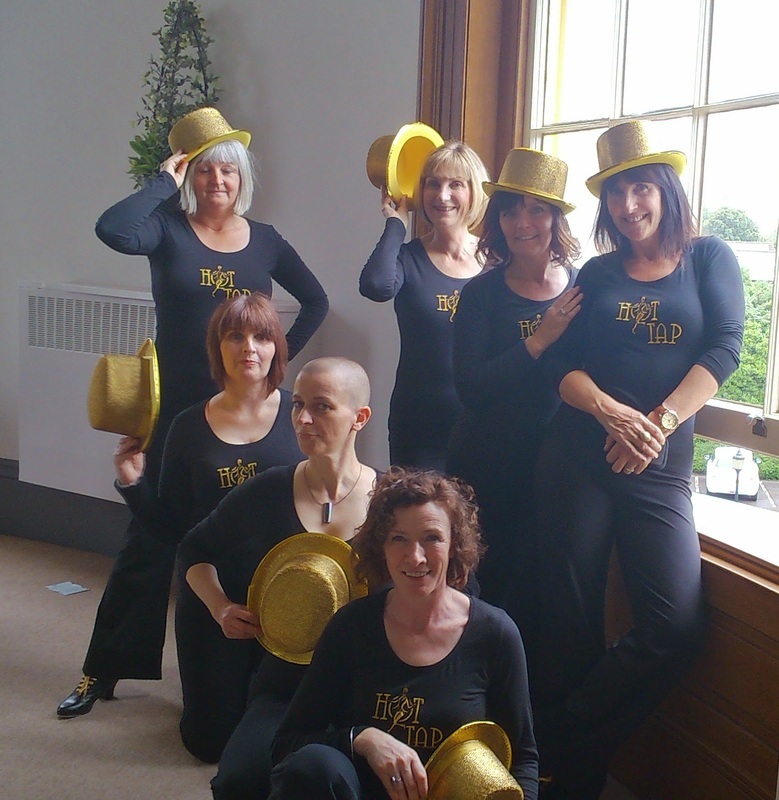 We are all very busy at the moment getting prepared for our next event which is performing at the Pittville Pump rooms in Cheltenham, this is an entertainment break at the annual mayor making ceremony. This will be our first performance out of our comfort zone that is Montgomery a little bit more nerve racking but exciting non the less. Where you can watch us! Saturday 5th July 2014 - Montgomery Street fair. Check out a bit of what we do! Hot Tap performing at Montgomery Street Fair 2016. Saturday 26th April performance with The Dragon Jazz Band fundraising for the Montgomery Christmas lights. 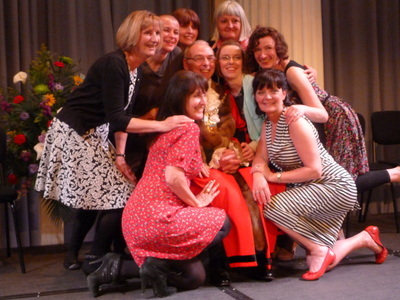 Hot Tap Performing at The Mayor Making Ceremony in Cheltenham. A very exciting adventure for us, we had a great day out!!
" 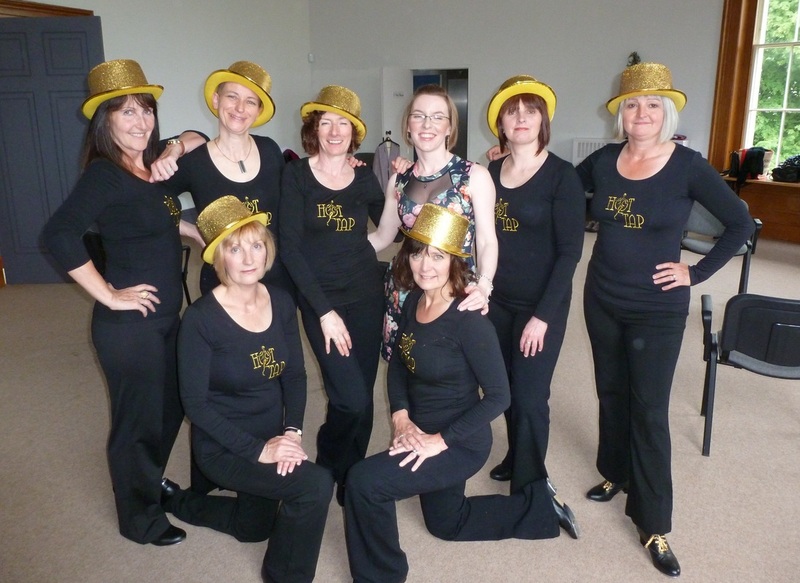 I really look forward to Sally's tap classes every week.They are relaxed and fun and we have all become great friends. 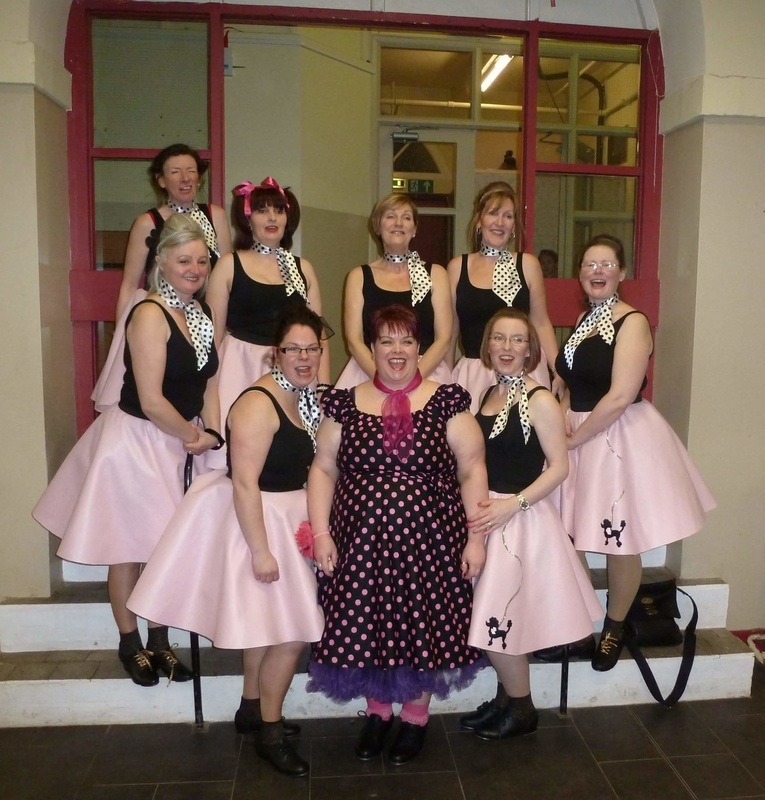 Sally is an excellent teacher and we already have many tap skills and dance routines under our belts and even perform locally at times which is a real achievement for us all." "The adult tap class is the best class I've ever been to, I've learnt some great tap steps, and fabulously choreographed routines from Sally, and to top it off I feel I've made some new wonderful friends too. I enjoy it immensely. Highly recommended. I look forward to it each week." © COPYRIGHT SALLY GARTELL 2015. ALL RIGHTS RESERVED.